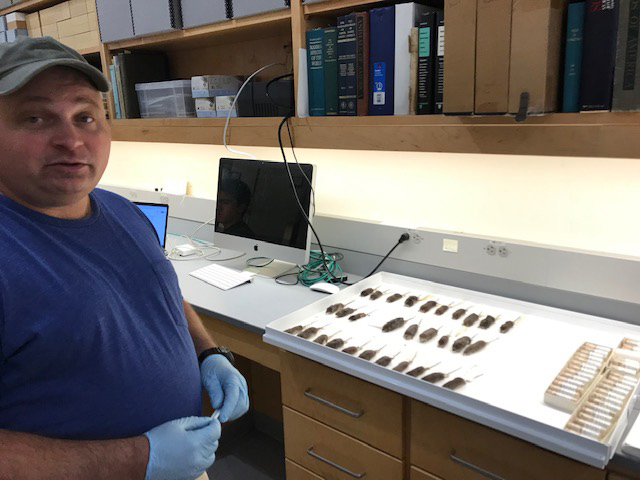 Jamie Fischer (White Memorial Conservation Center Research Director) visited our vertebrate collections and examined a drawer of water shrew specimens. Water shrews are unusual members of their group: they spend much of their lives in water, have waterproof fur coats, have a heavy fur fringe on their feet that helps them paddle and even ‘walk on water’ for more than a meter. Jamie is writing a petition to have them added to a list of designated species for conservation in the state.